The Scottish nationalist government is ready to organise an independence referendum even before a Brexit deal is reached, if Scotland gets no special status to maintain links with the EU, Scotland's former first minister has said. "If Scotland was faced with a choice of Brexiting with the UK or remaining in the European context as an independent country, then you'd want to give people that choice before Brexit taking effect," Alex Salmond told EUobserver as the Scottish government prepares to publish its strategy. Salmond, who was Scotland's leader from 2007 and 2014, organised a first referendum in 2014, in which the Yes to independence lost by 44.7 percent to 55.30 percent. Now an MP in Westminster, and the foreign affairs spokesman for the Scottish National Party (SNP) of current first minister Nicola Sturgeon, he called for EU support to keep Scotland close to the EU. Salmond was in Brussels on Wednesday (14 December) to receive the Maurits Coppieters award for the defence of the rights of minorities, self-determination, and democracy. "Scotland's cause is Europe's cause," he said in his acceptance speech. 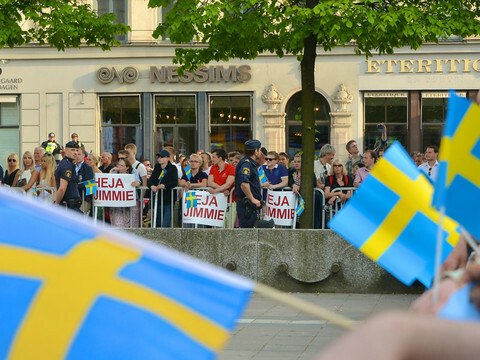 In a Europe where "the vandals are at the gate of the treaty of Rome," the former Scottish leader said, his nation's 1000-year European history could be an asset to promote a social Europe and combat anti-EU populists. Later this week, Sturgeon will present her government's strategy to keep economic, political and cultural links with the EU. She will make clear that "if the Scottish government's position is not accepted, a referendum becomes very likely," Salmond said in an interview ahead of the ceremony in Brussels. "It's up to the UK government to put forward a special status for Scotland. They can do that. If they choose not to do, it's their choice, and the consequences will be theirs," he insisted. While in Brussels, Salmond also met European Commission president Jean-Claude Juncker, who, he said "has always been acutely aware of the sensitivities of small nations and is also aware of the Scottish situation." He said that the EU so far has sent "very friendly signals" to Scotland. 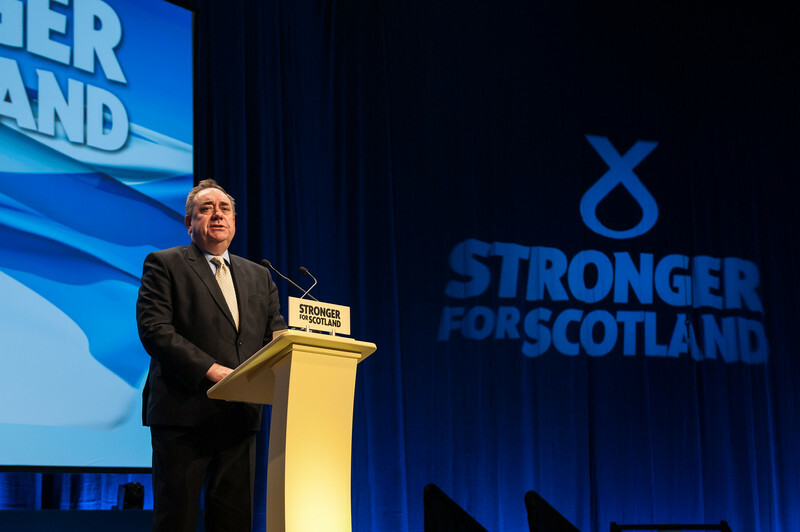 Since the UK voted to exit the EU last June, the priority for the SNP and the Scottish government had been seeking "to maintain Scotland's position within the single market by persuading the UK government to drop any thought of a hard Brexit", Salmond said. "If that is not possible, we should be looking to a special status for Scotland," he added, pointing out that Northern Ireland and Gibraltar would also get a special arrangement when the UK leaves the EU. He noted that the car industry obtained what he called a "special status" when the British government committed in October to help Nissan have access to the EU single market "without tariffs and bureaucratic impediments" in exchange for producing a new car in Sunderland, England. "Scotland is at least entitled to as much respect as the car industry in Sunderland," Salmond said. To avoid a "hard" Brexit - an exit with no access to the single market - or to get a special status, the Scottish government will try to influence the British one by allying with pro-EU forces in the UK, the Scottish MP explained. The ruling SNP will also use its power in the House of Commons, where it holds 56 of the 59 Scottish seats, as well as the informal mandate it takes from the 62 percent of Scots who voted to remain in the EU in June. While the latest polls suggest that only a minority of Scottish voters support independence or the idea of a new referendum, Salmond said that "you must avoid interpreting Scottish opinion polls via UK media," because some of them [British media] are "not only anti-Scottish but anti-European." The former first minister pointed out that support for independence was "roughly" the same than in the 2014 referendum, and much higher than when himself decided in 2012 to organise the vote. 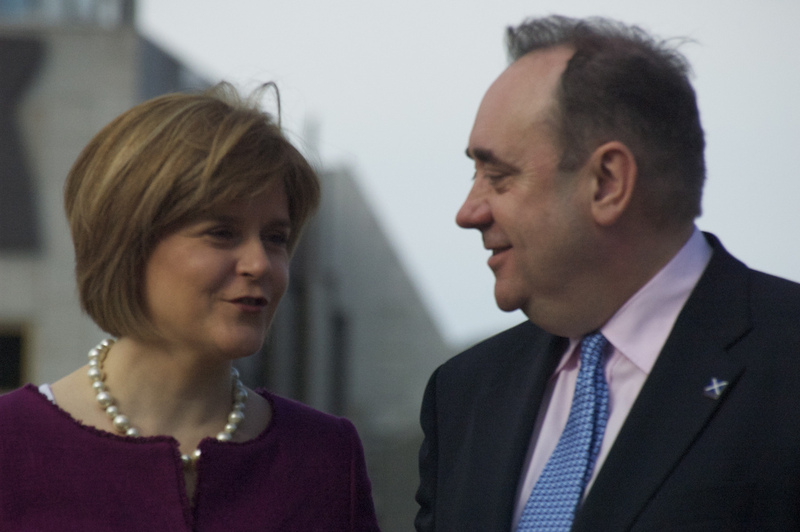 "I don't think Ms Sturgeon would have any compulsion in calling a referendum with a support of 45 percent," he said. A debate on Europe and Scotland's future would "substantially" increase support, he added, especially "with the UK government having turned down Scotland's legitimate aspirations to stay part of the European context." 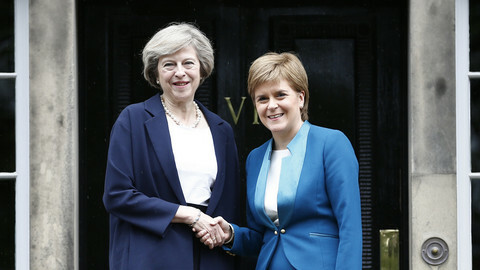 In July, British prime minister Theresa May said after meeting Sturgeon that she would start exit talks with EU only when she would "think that we have a UK approach and objectives for negotiations," and that she was "willing to listen to options." Six months later, "she's done nothing," Salmond noted. "The prime minister's lost her way very quickly. What she said in her first week in office has not been honoured in any meaningful sense". The MP admitted that May "inherited an uneasy situation." "But she is not communicating authority of command," he added, comparing her with her distant predecessor Margaret Thatcher: "there was never any misunderstanding the authority with which she spoke. As yet, Ms May doesn't communicate anything like that." If the Brexit talks and lack of agreement between London and Edinburgh lead to a new referendum, the former Scottish leader dismissed concerns that the fall of oil prices would undermine the economic case for independence. He admitted that "when the price of oil is low, the Scottish economy suffers," but pointed out that "there's a lot to Scottish economy than oil." In any case, he insisted, "since the price of oil dropped, the SNP has won elections in Westminster and in the Scottish parliament." 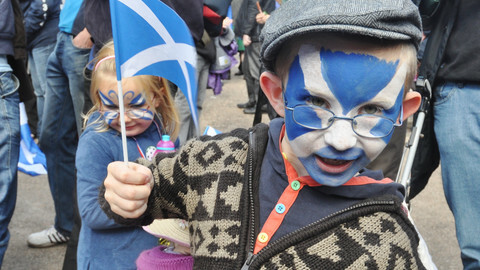 So would a hard Brexit be an opportunity, albeit a risky one, for Scottish nationalists? "In any political difficulty, there are always opportunities," Salmond replied. "The art of politics is to see the best possible opportunities out of a situation that was not Scotland's making. It's also part of the art of politics to offer your opponent a choice either answer to which could be a benefit to your aspirations," he observed. On one hand, a "special Scottish position within Europe" would benefit Scotland, the UK and Europe. On the other hand, "if the UK government says No, then it makes independence much more likely." "It's one of these questions where either answer could potentially benefit Scotland's cause," Salmond said. The Scottish government will present its own options on Brexit if London does not secure access to the EU's single market, its Brexit minister said in Brussels. The Edinburgh government has published a bill for an independence referendum, which it wants to take place before the UK leaves the EU. Scotland's Nicola Sturgeon has attacked British PM Theresa May's "deeply ugly" vision of Brexit. May warned of "divisive nationalists" trying to undermine the UK. 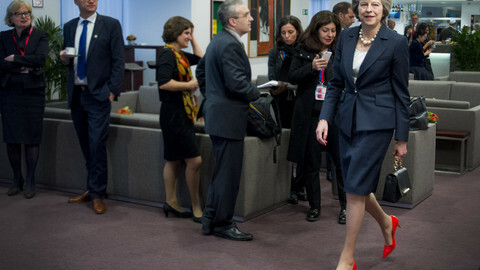 British PM Theresa May found herself in not so splendid isolation at Thursday's EU summit, where Brexit garnered 20 minutes of time from EU leaders, suggesting Britain is fast approaching European political sidelines. Theresa May labels Scottish proposals to remain part of Europe's trade area after Brexit as "impractical" and says they rely on assumptions about Scotland that cannot be accepted.